Dr. Sproul communicates that our worship must be offered in faith, from a contrite heart, with the motivation of honoring our Heavenly Father. 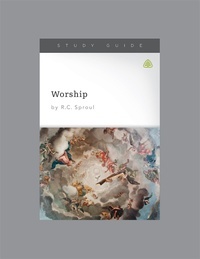 This insightful series reveals the biblical portrait of worship involving our whole heart, soul, and mind, as well as the important involvement of each of our five senses. He reminds us of the importance of beauty in worship, as well as the value of liturgy.